Imagine showing the father in your life a voucher with a picture of their new Swimming Pool & Spa -or- New Vinyl Liner Replacement –or- Swimming Pool face lift upgrade. It’s hard to believe Father’s Day is right around the corner. Have you been looking for that special gift that will make dad say “WOW”? Stop searching, this is it. You know how many times you’ve talked about getting that dream pool and how many times you’ve said your existing pool needs a face lift. Let’s make it happen. Step One: Get pre-approved so we can design your dream pool that fits your budget. Need help financing? We have awesome partners if you need to finance your swimming pool and spa. Step Two: Contact our professional pool design and construction specialist for your complementary consultation to determine the best pool design for your backyard – (770) 419-7119. Step Three: Look through our Pinterest Boards for inspiration. Design your own Dream Pool Pin board and share it with us. Step Four: Start planning your Pool Party! Follow Rachel Cook’s board Father’s Day Gift – Pool! on Pinterest. 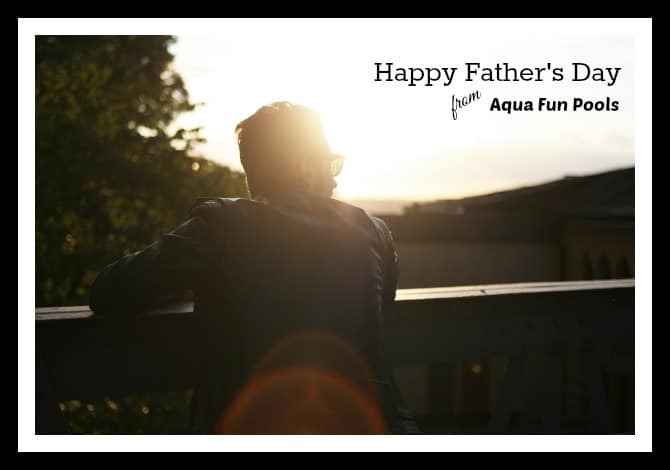 Get your Aqua Fun Swimming Pool Gift Certificate by Father’s Day, June 21st, 2015. If you need more time, we’ll extend this offer through the entire month of June. Create fun memories with your family and friend, call today to schedule your no obligation consultation (770) 419-7119 or schedule here.